Rieter, a Switzerland-based Leading supplier of systems for short staple spinning, held a Com4 Yarn seminar in India’s textile city of Ahmedabad. At the end of the seminar, attendees gained detailed technological knowledge of the 4 established yarn spinning systems and the the effect of yarn characteristics on downstream processes. They also had experienced the feel of fabrics made out of all the 4 different end spinning systems. Technicians and other downstream processing specialists from various companies were informed on the yarn characteristics of the 4 spinning systems and were able to draw conclusions on the downstream behaviour and the influence on the final product appearance and its properties. The ring yarn spun on Rieter ring spinning machines is marketed under the name Com4 ring, the compact yarn produced on the compact spinning machine is marketed as Com4 compact, the rotor yarn from the rotor spinning machine under Com4 rotor and the air-spun yarn from the air-jet spinning machine under Com4 jet. 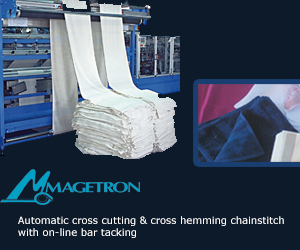 “Yarns spun on Rieter spinning machines fulfill the most challenging requirements. Outstanding properties and constant high-quality safeguard the competitive edge in a dynamic market. Each of these yarns is distinguished by a special yarn character and its related yarn properties. The yarns have different qualitative or economic advantages, not only for downstream processors but also for end users,” the participants were informed during the course of the seminar. Additionally, information was also shared about Rieter’s yarn marketing and the Rieter Com4 yarn family. Samples of various fabrics and international reference list of all Com4 licensed yarn manufacturers was also provided to the participants.